Teaching kids to save money starts at a young age! Learn tips and tricks to teach money management, counting money and the importance of saving money. This is a sponsored post written by me on behalf of Make Your Kid a Money Genius (Even If You’re Not). All opinions are 100% mine. Want to know the number one influence on your child’s financial behavior? It’s not the media, peers, or even DNA. It’s you and me. Parents make the biggest impact on whether kids will go into heavy debt or pay off bills, learn to save or spend more than they earn. Thankfully, we have an awesome resource to begin that conversation with our kids, whether they’re three-years-old or entering young adulthood. And yep, even if you’re not exactly a model financial guru. 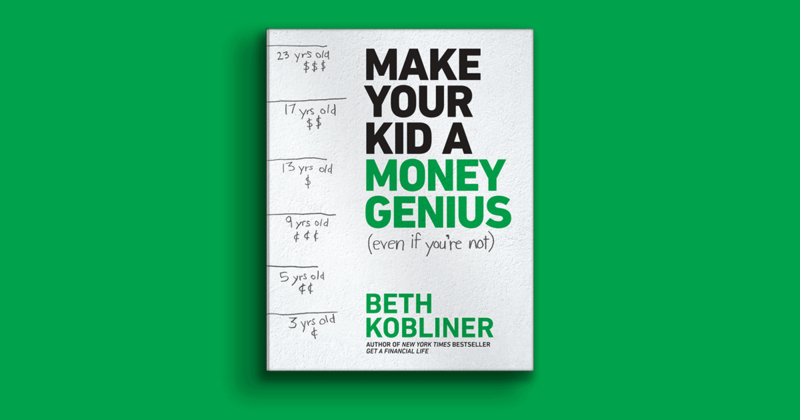 Beth Kobliner has written a book for parents like you and me to talk to kids about money. I’ve been a fan of Beth since my early twenties, when I read her first book, Get a Financial Life. I credit that book as my first introduction to personal finance, opening my eyes to responsible use of money. So I’m excited that she’s coming through again with another excellent book, this time helping me teach my kids about money. Make Your Kid a Money Genius (Even If You’re Not), is a step-by-step guide full of teachable moments about money. I especially love that the book stresses the importance of character traits important in all aspects of life: a strong work ethic, self-control, making good choices, perseverance and generosity. One of my favorite sections in the book is about teaching kids to save money. It’s easy to assume our kids are too young to learn how to save, or that they won’t get the concept. But now that my kids are seven- and three-years-old, I realize it’s actually more important than ever to start now. While it’s never too late to teach sound money habits, it’s much easier to start early. You see, I’m a saver, but I wasn’t always this way. I grew up thinking money was meant to be spent. Sure, I never had debt as a young adult, but I also didn’t save much, either. With every job I had, I spent and bought what I thought I should, since I could. Things like getting new furniture or spending extra on entertainment. One day, I looked around my apartment and realized I had nothing to show for all my work, other than furniture. I had meager savings stashed in the bank with all my money spent on items instead. But Beth encourages parents not to shy away from waiting. If someone else is using the see-saw at the playground, tell your child to wait his turn, explaining that he’ll get a chance to play on it soon. Have him entertain himself while you both wait in line at the grocery store. And praise him for waiting so patiently, especially when it would’ve been too easy to have a meltdown. By having your child experience waiting, you’re helping him develop the skills to delay gratification and learn the benefits of patience. Yes, those piggy banks really do work! Get your child used to stashing extra cash in one place. Maybe that’s coins he found lying around, or money he received as a present. You can also model the same habits by announcing you’re putting your spare change into the piggy bank. Even more important? Don’t dip into your child’s piggy bank! As tempting as it is to sneak a few quarters out for the meters, or a $5 bill for lunch, don’t. Even if your child doesn’t catch you, you’re going against all the lessons you’ve been teaching (such as not dipping into his piggy bank). If you are in a bind, ask him if you can borrow money from the piggy bank, agreeing to pay him back (you might even want to pay him back with interest!). At the age of three and onward, kids can tell the difference between coins. Talk about their values and show how 25 pennies equal one quarter, or two nickels to one dime. Let them know how each coin is worth a certain amount which can add up together. You might even start with categorizing the coins. A few weeks ago, my kids’ piggy bank was full enough that we could empty and deposit its contents in the bank. They had a blast sorting the coins and placing them into the paper rolls to make it easier to deposit. Even though saving for college shouldn’t be your number one goal (retirement should be), getting your kids involved can be an excellent way to ingrain these habits and stress the importance of higher education. Beth says that, despite differing opinions of the value of a college education, a degree is still the single best financial investment you can make for your child. College graduates have more leverage to earn more income and secure a job they enjoy than those without degrees. If your child receives a gift, consider saving it into a college fund, explaining how this money will help pay for his college. Even saving a portion—such as half the money he gets as gifts—already establishes the habits of setting aside money, even if the benefits are far in the future. Saving for college not only teaches saving habits, it also highlights the importance of education. It’s a double win! 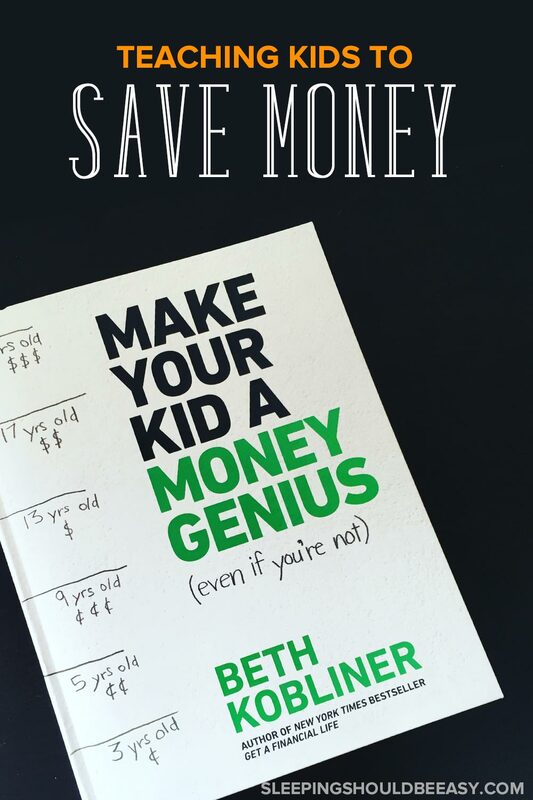 Raising financially-fit children is much more doable with Beth’s book, Make Your Kid a Money Genius (Even If You’re Not). The book caters to all age groups, making it a perfect addition to your library to reference as your child grows. You’ll also learn a ton of new information, and even some surprising ones. For instance, I was surprised to learn that giving your child a wad of cash can actually be a great parenting move (who knew?). And the best part? The book doesn’t propose you sit down with your child for a one-time talk that never happens again. Instead, it encourages a continuous conversation that includes using moments in your day-to-day life as opportunities to teach about money. 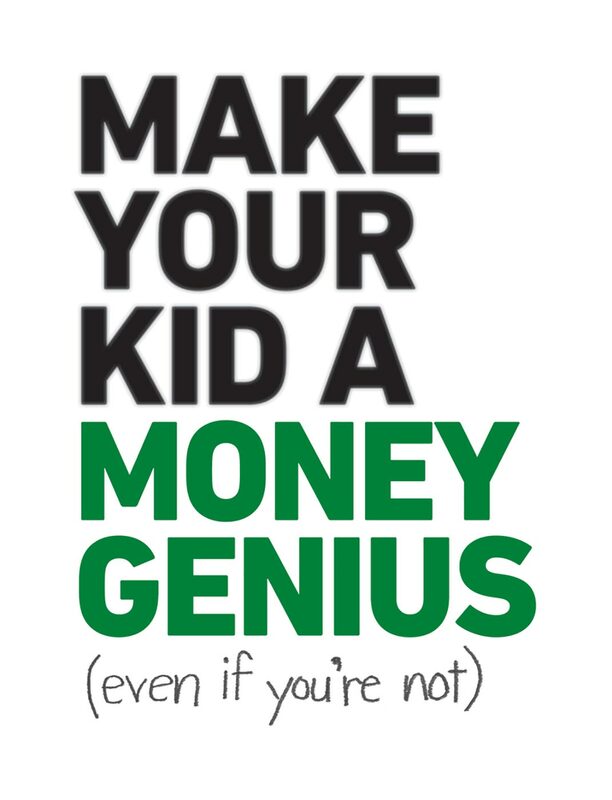 I would love for you to get your own copy of Make Your Kid a Money Genius (Even If You’re Not). 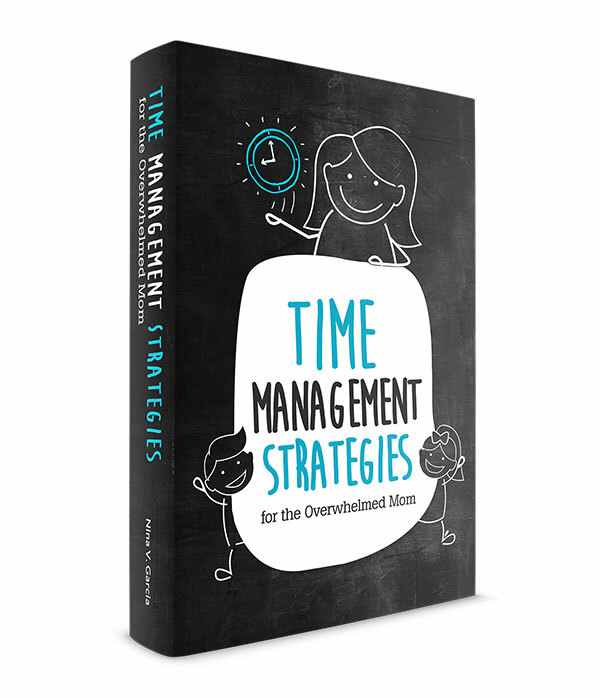 This is a book you’ll refer to time and time again! You can also pre-order the book from sites like BooksAMillion or IndieBound or find it in most large retailers or local bookstores. I’m no longer spending all the money I earn—quite the opposite, in fact. I’m hoping this savings habit rubs off on my kids. With the book to refer to combined with a continuous conversation about money, I’m confident it will. This is a sponsored post written by me on behalf of Make Your Kid a Money Genius (Even If You’re Not). This is SO important! This book looks like a great resource to help kids understand why saving money is important. Thanks for sharing!